I think I get more search hits on my blog, especially this time of year, about “caterpillars and dill” than I do quilting. 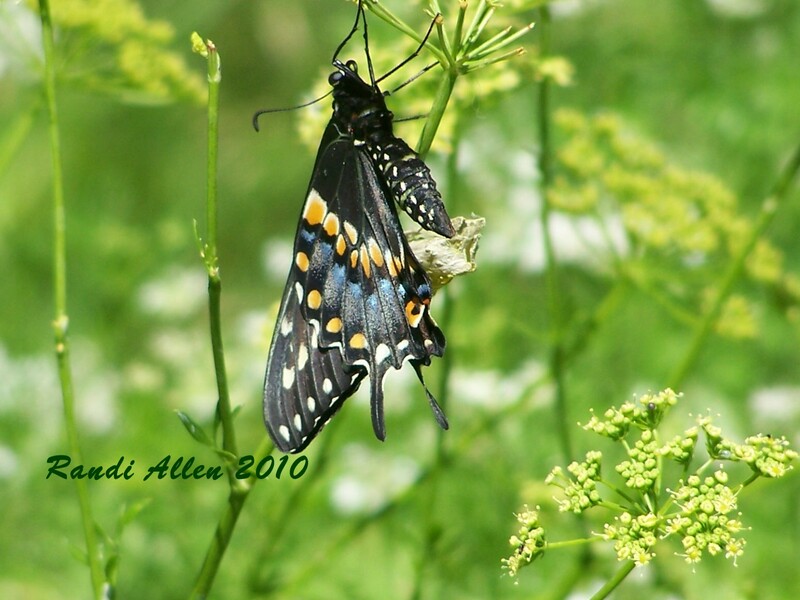 Back when I first started this blog, I posted several posts about the Swallowtail butterflies and the caterpillars they begin life as, as I have dill and parsley planted, just so I can watch them. So, I thought I’d share some new pics from the garden. If you find caterpillars happily munching your dill and parsley, this is what they will eventually become, given the chance. This one is drying it’s wings, having recently emerged from the cocoon you can see behind it. This is one I saw a couple of days before. Some consider them pests in their garden, but I enjoy watching them go through their life cycle every year. Now, if I could just figure out how to stop the birds from eating the caterpillars. THAT is the trouble I’m having this year. Beautiful. I only get Gulf Frittilary butterflies which host on my Passion Vine as cats and then go for my yellow lantana after they emerge. 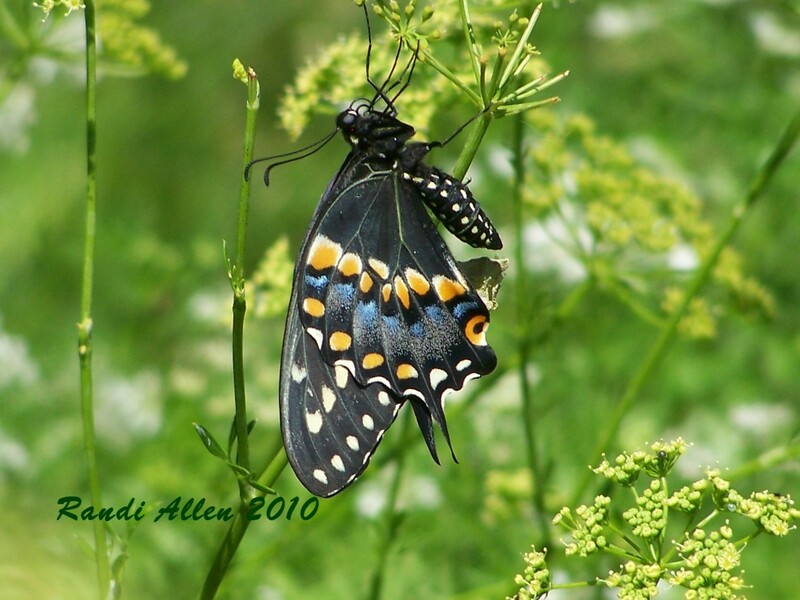 Last summer, my grands watched the process from a transferred cat to cocoon to butterfly in a terarium and then released them outdoors. It was wonderful. 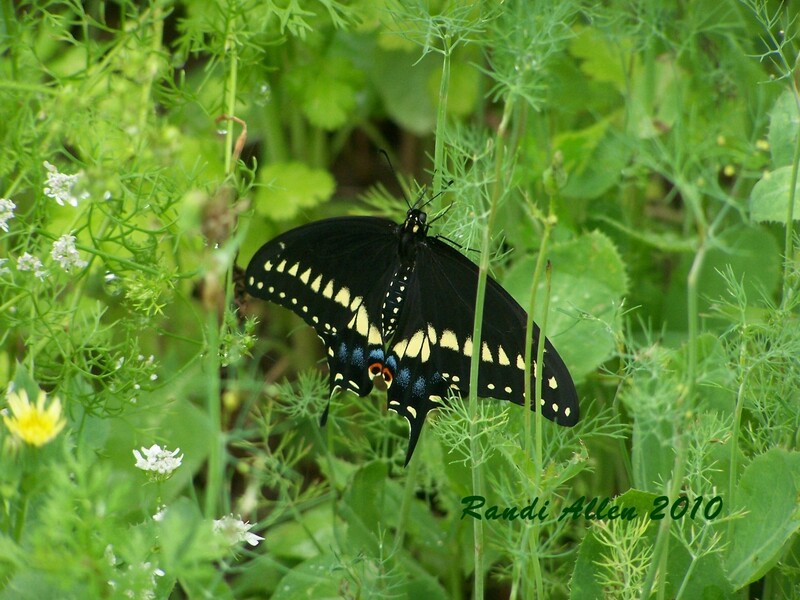 I will have to try planting parsley and dill and see if I can lure some of these swallowtails to my garden. Thanks for sharing the photos, Randi. 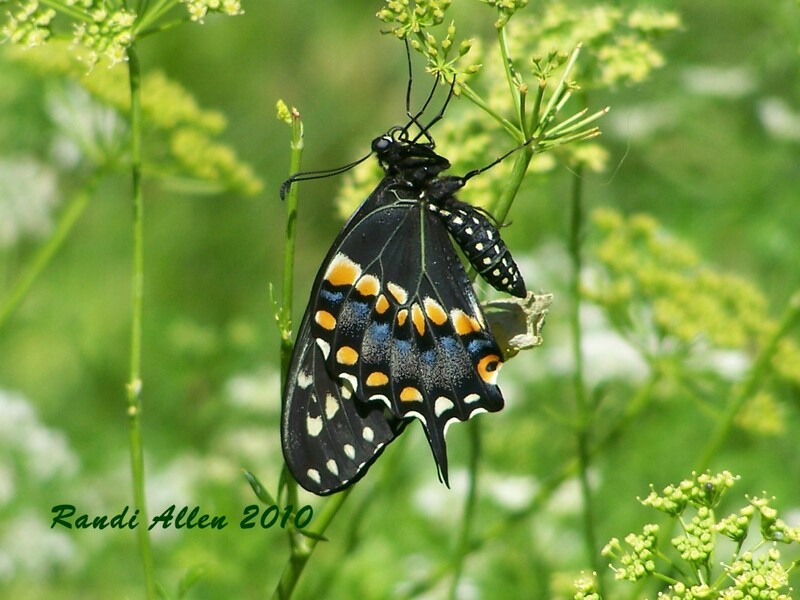 Amazing pictures…one can’t help wonder just exactly what goes on there to transform a caterpillar to a butterfly….one of life’s mysteries!!! Hiya buddy. Those pictures are awesome. No garden or butterfies or caterpillars here. It’s winter. Great pictures, Randi! I have the parsley planted this year, but not the dill! I’ll have to try that! siiiiiiiiiiigh fabulous pictures, Randi. 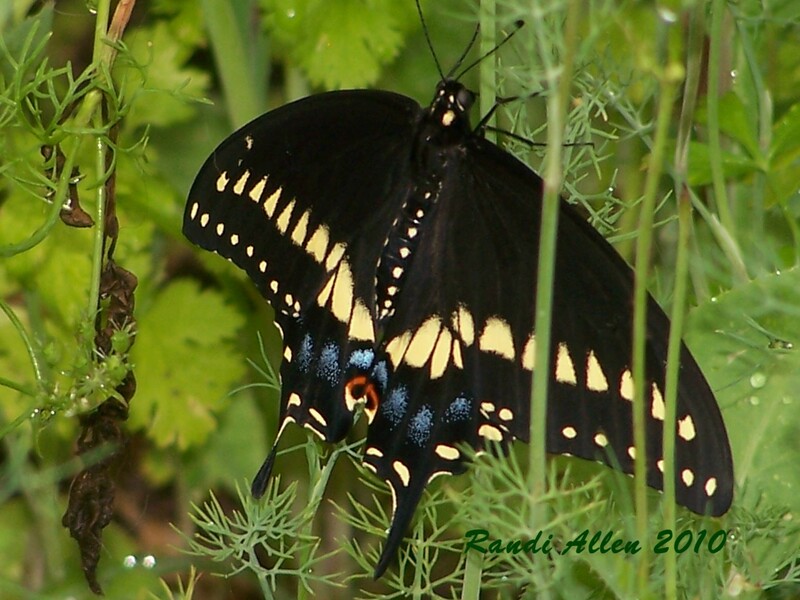 “My” swallowtails are yellow, but equally awesome. Ooh and I really, really like Maxine’s comment. How ’bout it, Randi – do I see a new quilt in your future? What an awesome idea! Or Linda, or One L (hiya!) or Gayle, or Tammie, or Jane. Anyone? C’mon … jump on in here! Wonderful pics, Randi! I don’t have luck growing dill, so no swallowtails, but I get lots of Monarch caterpillars on my milkweed. They’re fun to see too.